It’s an easy mistake to make: LMS platform providers claiming to offer a platform suitable for medical CE may show you an impressive roster of features and you may fall for their expert pitch. Dig a little deeper and you might find that their features are mostly aspirational: they won’t provide you with the development tools or the technical support that you need to scale, but they’ll show you examples of other clients who’ve built great features into their customized platform (at great expense). Don’t have time for DIY? Be prepared to pay for every “add-on” feature that you need for your program to scale successfully. For CME directors, it is critical to find a purpose-built CME platform that offers you and your team much more than software. As you meet the challenges of day-to-day growth strategy development, it is essential that you have the tools necessary to respond user-experience issues and automate repetitive administrative tasks on hand. You should also have access for support when you need it—your LMS provider shouldn’t limit your tech support options once you’ve purchased their software. You don’t need anyone to tell you why tech support is so important: just like having the tools that you need to scale on day one, having a tech team on your side saves you time and money. Your days are already packed with management and program development tasks—you can’t afford to add “software troubleshooting” to your list of daily musts. If your LMS doesn’t offer an enterprise-grade data management option, then you will have to devote significant time and resources to collecting, verifying, and warehousing your program data. An influx of new students will only add to your task load. Without an automated system for handling critical program data, you’re also facing significant risk when it comes to the integrity of your data-driven insights. Human error is common when data is collected manually, and that means the prospect of data gaps and statistical entry errors compromising the accuracy of your reporting. Whether it’s learner feedback requests or certificate printing, crucial administrative tasks that are time-consuming and repetitive can thwart your team’s productivity efforts and add busywork to your daily “to do” list. With a generic LMS, you’ll either have to hire a firm to write a programmatic workaround to automate these tasks from a custom platform linked to your existing medical CE LMS, or you will have to do everything manually. It isn’t your imagination: there are more accredited CME programs available now than ever before, and because consumers have more choice, they are also inclined to be more discerning when it comes to CME content. That means that your LMS should offer you the tools that you need to easily customize your activities with video, new learner assessment formats, live streams, and more so that you can remain competitive in a challenging market. If you have to consult with a creative agency or use a second platform to integrate new content with your LMS, then you aren’t using an enterprise-grade service. Our LMS provides access EthosCE Analytics, an advanced analytics suite that offers users unparalleled control of their data. Because our system pulls data directly from the LMS and select external sources, our platform protects you from faulty or inaccurate data that has been corrupted by human error or compromised by data gaps. With EthosCE, staying in compliance with PARS standards is effortless. Our automated data management system allows you to focus on creating a powerful narrative rather than hunting for errors in your report. When you’re creating strategy, it’s essential that you are building your plans on a factual foundation. With EthosCE, you don’t have to spend weeks on due diligence as you comb spreadsheets for insights. Our customizable data dashboards allow you to slice your data as you like and get a view of aggregate and individual learner behaviors and performance trends with a few clicks. In addition, our advanced data visualizations allow you to easily share graphic illustrations of relevant insights with your team instantly or on a predetermined schedule. EthosCE has developed an all-in-one solution for growing CME programs focused on developing superior educational experiences. Do your learners need a different curricular approach to a challenge concept? With EthosCE, you can easily integrate video, animation, live streams, webinars, audio, ebooks, and more into your activities with a few clicks. At EthosCE we also know that much of your time as a CME director is spent completing tasks that aren’t really your job. In fact, they shouldn’t be anyone’s job. Tasks like post-assessment learner feedback and billing reminders are essential, but time-consuming. Automation solves the problem of maintaining workflow while ensuring that important details aren’t overlooked in the name of productivity. Our customizable email templates and advanced notification system allows you complete control over internal and external communications without having to sit at your keyboard and manage email chains. With EthosCE, you can automate email responses—from custom messaging for struggling learners post assessment to team updates on new student enrollments—and view metrics from your data dashboard. Our platform also handles all of the other “stuff” that can send your program to a screeching halt when demand is high—like billing and support ticket requests. You don’t have to settle—why take a chance on a generic one-size-fits-all platform? Comprehensive support is a key ingredient in sustained CME growth. Most generic LMS platforms offer limited or no support after software purchase.. Unlike most LMS platforms, EthosCE offers complete data access in a user-friendly format through customizable data dashboards. EthosCE is also a self-serve analytics platform, giving CME teams unmatched control over their data and granting simple access to real-time and historical program and learner insights that would take weeks to create manually. EthosCE is designed specially for medical CE, with over 16 years of experience in the field. We’ve helped many associations and universities make the switch to our easy-to-use LMS. Tired of second-best LMS options? Step up to an enterprise-grade platform. 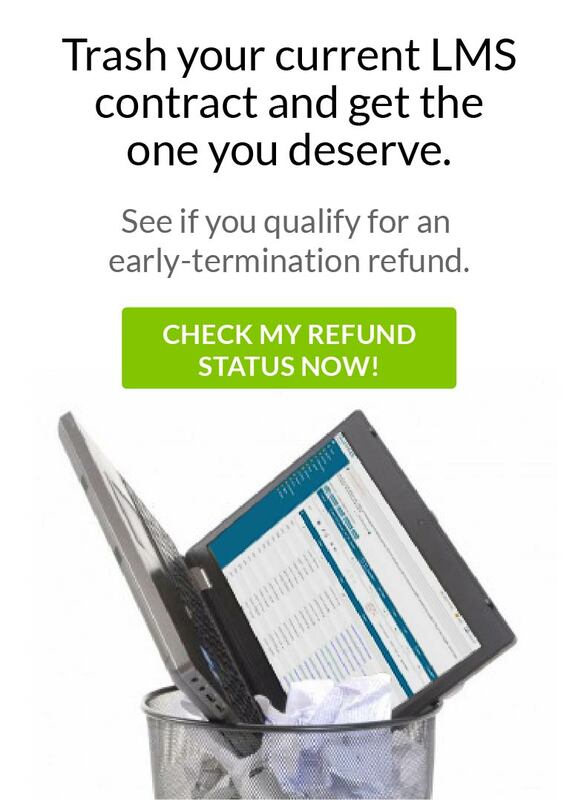 Schedule a 1-on-1 demo and learn if you qualify for early cancellation refund if you leave your current LMS. Finding “Perfection” in Your Association Management Service Why the Right LMS for Your CE is More Important Than Ever!